Hello everyone welcome to Amudhakumar and Lite Mentors Digital Marketing Course and training review given by Mr Mohammad Arif. Mohammad Arif is basically from a city named Vallam, Shencottah Talk, Tirunelveli. 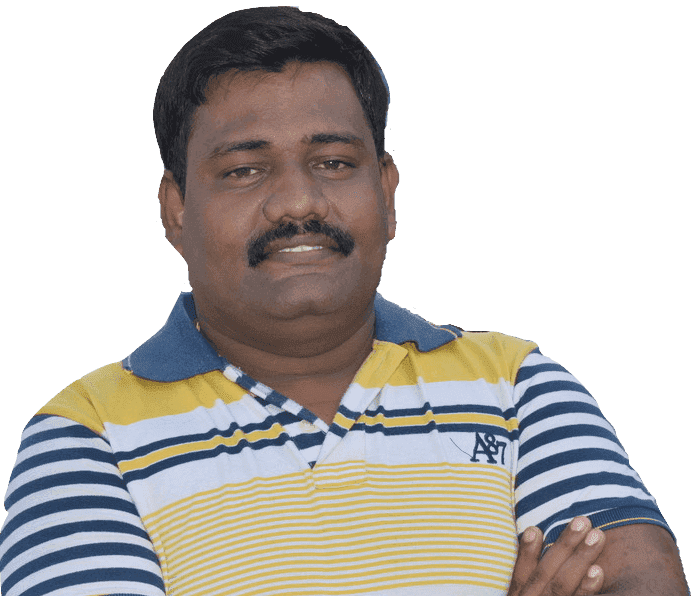 At the end of 2018, he was working in Chennai in a small organisation and he was not satisfied with the nature of his job. Mohammad Arif is a big dreamer and he was visualizing about his career and future in digital marketing. He was also interested in freelancing and also to grow his career as a businessman. On one fine day he was lacking in confidence, felt idle and hopeless of going nowhere. He was sitting in one of the shopping mall near Velachery named Phoenix Mall. During the time he ended up searching Best Digital Marketing Training Institute in Chennai. Several Institutes related to Digital Marketing Training in Chennai. He ended up seeing several results and Lite Mentors appeared among those. With an idea of contacting Lite Mentors later he moved from the space and later he tried to search for the same Institute. However he was unable to figure out the name. Later he remembered the word lite and combined the word with the location Guindy and searched in internet. That became the results for lite Mentors in the local business listing. In the meantime he also visited several digital marketing Training Institute in places like Vada palani, Anna nagar, Kodambakkam, Tambaram, Velachery, karappakkam and Porur. He too inquired about the courses. However he was not impressed by the any of the digital marketing training institutes in Chennai. He came to the institute spoke with Amudha Kumar who is a digital marketing trainer at lite mentors. The conversation lasted for an hour in which we had a great discussion on his goals. The reason behind why you want to study digital marketing and what are his Expectations and all the stuff. During the conversation I suggested Mr Arif to take up an online training classes for his training requirements. However he was skeptical about the online course. I offered an opportunity to explore the regular classroom digital marketing training and online digital marketing training session. I also offered him the opportunity to choose to go for regular classroom training or online session. After attending both the sessions are decided that he is going to take up the online session and then to start his digital marketing training course from his native place Tirunelveli. Because he decided to choose a digital marketing platform for learning. He could end up saving almost 8000 rupees throughout this two and half months period. Because, he has never required to hire a room or a house for rent, He was not required to spend money on his food and wheels because he still in their own house and things with explain reserve was also taken care. He could also save lots of time on travelling because it shows online digital marketing training as an option. As the course started there were lots of modulus, sessions. He was participating in more than one Seasons everyday. He participated in all most Four Seasons on a particular date and he became knowledgeable in digital platform within one to one and half months As I've already mentioned he is a very big dreamer and based on the knowledge he had, he started approaching multiple people for their business requirements related to digital marketing services. Even during the classroom training he started getting projects and started working on this real time projects. Even before the completion of the course, he started getting payment from the client. To be very Frank he was able to support his course fee through the revenue that he generated from his cranes even during the digital marketing training sessions. We are glad to have been created as one of the greatest resource related digital marketing that he could start his own startup company Firatechs. He started doing his digital marketing and web designing development consulting services. If you are looking forward to get any business services related to digital marketing in the area of Tirunelveli I strongly suggest you to get in touch with Mr Mohammed Arif so that we can fulfill your requirement. If you are looking forward to get any business services related to digital marketing in the area of Tirunelveli I strongly suggest you to get in touch with Mr Muhammad Arif so that we can fulfill your requirements if you are looking forward to learn digital marketing. If you are looking forward to learn digital marketing from Amazon Kumar you can visit his website call him at 7010638398.